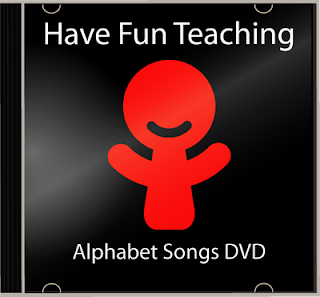 The Alphabet Songs DVD by Have Fun Teaching has just been released! This Phonics DVD creates a new style of learning that is engaging and relevant to today's kids. This phonics dvd consists of 26 alphabet letter songs and the alphabet song. The videos on this dvd are fun, interactive, colorful, and will have your kids dancing, singing and learning the alphabet and the phonics letter sounds in no time!